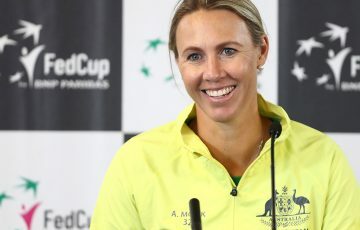 Lleyton Hewitt believes Alex De Minaur has the firepower to match it with the best in the world - as well as having plenty of room to improve further. 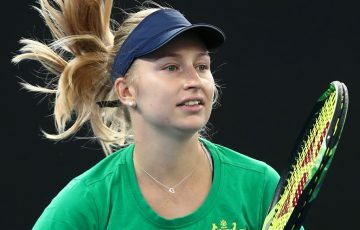 Lleyton Hewitt has warned Alex De Minaur’s rivals to underestimate the teenager’s firepower at their peril as the countdown begins to another exciting summer of tennis. 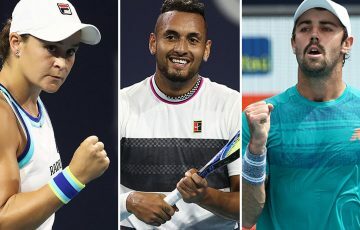 The season begins on 30 December in Brisbane where Hewitt expects De Minaur to “have a target on his back for sure” following his meteoric rise this year. 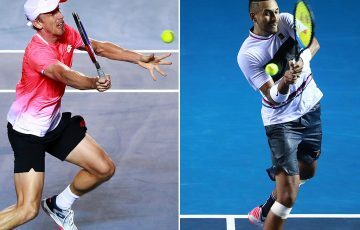 Fans have marvelled at De Minaur’s speed and Hewitt-like tenacity during his climb to world No.31, with one photographer at this year’s Sydney International even claiming the boy wonder was so quick he needed half an hour to capture him in focus. 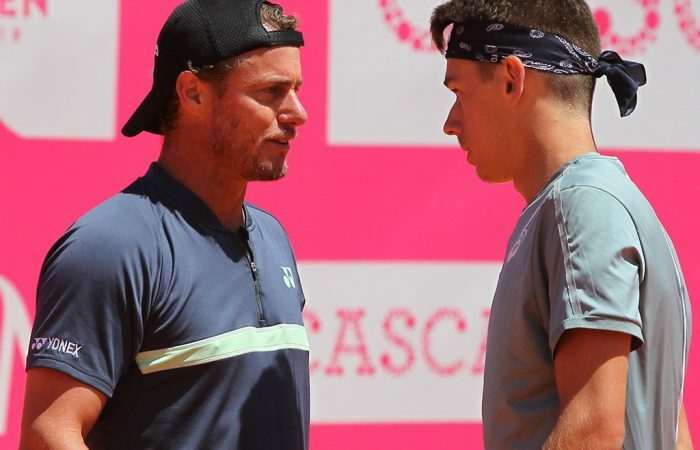 Hewitt, though, says De Minaur’s challengers will be caught out if they mistake the 19-year-old for merely a relentless retriever. “He’s got a lot of firepower from the back of the court. 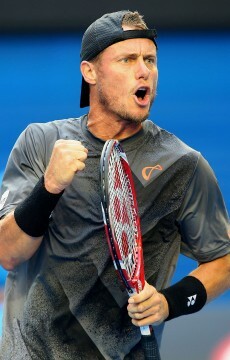 I’ve seen him out-hit a lot of guys from the back of the court,” Hewitt said of his Sydney-born, Spain-raised protege. “We look at guys like Frances Tiafoe. At the US Open, he hit Frances off the court. He matched it with (Marin) Cilic. “So his timing’s that good and his body weight’s going through the shot so well that he can actually take it to those guys. 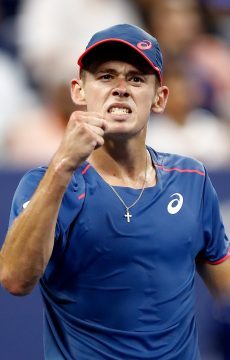 Describing mentoring De Minaur as a joy, Hewitt admitted he sees “a fair bit” of himself in the new Australian No.1. “Probably the biggest thing is he’s willing to do it all,” said the Davis Cup captain and former world No.1. “For me, it’s so easy to be a mentor to someone like Alex. He is like a sponge. So he’s easy to deal with in that sense. He’s very open minded with a lot of things as well in terms of his schedule and trying to work out what is the best situation. 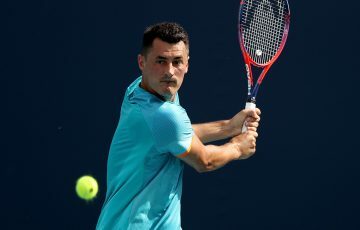 A long-time admirer of De Minaur’s backhand, Hewitt and his Spanish coach Adolfo Gutierrez have tweaked the youngster’s forehand this year. But, standing 5cm taller than Hewitt at 183cm, De Minaur’s next task is improving his serve. 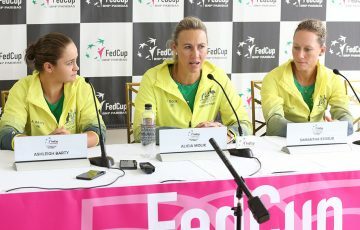 “That’s another area when he’s playing well, he serves well,” Hewitt said.